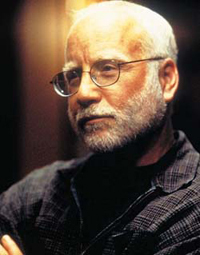 Richard Dreyfuss was born in Brooklyn, New York, in 1947 and began his acting career at the Los Angeles Jewish Community Center when he was eight years old. He acted on television in shows such as Bewitched and The Big Valley and others for over a decade and worked in theater in Los Angeles from 1963. He started doing features in roles of size in the early '70s, such as American Graffiti, The Apprenticeship of Duddy Kravitz, and Jaws. He won an Oscar in 1978 for his performance in The Goodbye Girl. He has been acting in American theater and films for 45 years. In his personal life, Dreyfuss has undertaken a nation-wide enterprise to encourage, revive, elevate, and enhance the teaching of civics in American schools. He has become a spokesperson on the issue of media informing policy, legislation, and public opinion, both speaking and writing to express his sentiments in favor of privacy, freedom of speech, democracy, and individual accountability.